PlatinumNRG have adopted a brand new precision colour coating process that offers a complete spectrum of durable, consistent colours and metallic finishes for their full PVCu windows and doors product range. 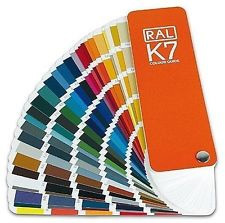 Homeowners can now specify any colour they choose, by a RAL number or pantone or an exact match to their own sample, perhaps to a piece of metal, ceramic, leather or fabric. Colour choices are infinite, unrestricted by stock ranges, whilst the system coats plain PVCu and foiled textures alike, to offer further tailored options for the ultimate bespoke PVCu windows. The colour coating, with a hard topcoat applied as standard, is consistent in coverage and thickness, molecularly bonding to the substrate for the ultimate in protection, durability and longevity. The resultant finish shows its true colour in all lights, with a rich, smooth look and the feel of real quality. 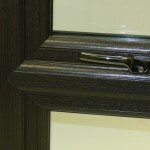 Options for your PVCu windows are now far more varied and interesting. White windows are not the only option so why limit your decoration to just the interior of your home when you can choose coloured PVCu windows to coordinate with your home and offer a really different look to the exterior of your house. As well as all the wood effect finishes that PlatinumNRG are so proud of, these are some examples of standard coloured PVCu windows. 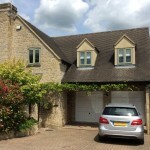 You will also have the benefit of coloured double glazing, perhaps even triple glazing, draught free and energy efficient PVCu windows that will have very low maintenance and will last far longer than the traditional wooden windows. 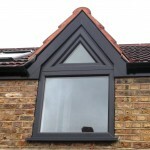 Black PVCu windows are really popular with older properties as they give a really authentic look – traditionally dating back to the grand Tudor and Elizabethan times gone by. They can also, in the right property enhance the value of the house, due to the energy efficiency in what would probably be a cold and draughty property. 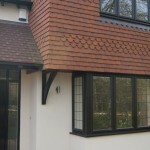 Black PVCu windows look ideal with our exclusive product, SlimSASH, slim profile PVCu windows, having larger areas of glass with slimmer frames. 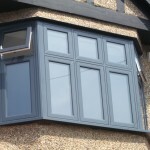 Grey PVCu windows will add real class to a property. 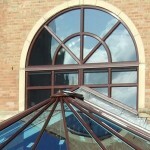 They also look really effective on period properties, but look great on modern houses as well. Builders will often use grey PVCu windows in blocks of flats as they can look more subtle in a vast expanse. 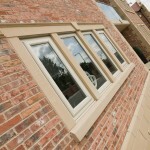 Cream PVCu windows are stylish and just as easy to keep clean as the traditional white PVCu windows. They look fantastic in all settings, being slightly more subtle and perhaps less startling than white PVCu double glazing. They look really stunning in a country location or where there are a lot of windows. 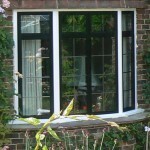 These are our traditional casement PVCu windows, shown in the image here. 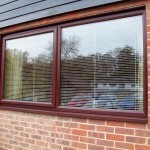 Brown PVCu windows take on the traditional wood effect windows, which have been popular for many years now. They look really great in the right settings and are still ordered time and time again. 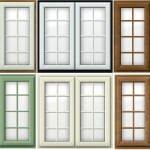 They can also look wonderful with hand crafted colour fanlights, to add extra styling to a really classic look. 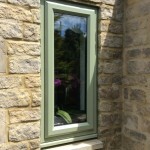 We also have the new colour finish Mooreiche which is proving really popular. 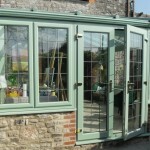 Our Chartwell green PVCu windows, doors & conservatories also look really classic in period properties as well as giving a more subtle look for conservatories where there is a vast expanse of double or triple glazing. This is actually a really traditional colour and looks great in any setting. 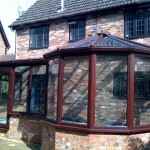 This image of one of our conservatories contains the traditional casement PVCu windows. All of our coloured PVCu windows are booming in popularity so take a good look through the options available to you before you opt for traditional white PVCu windows. If you would like a quote for our coloured PVCu windows, in whichever style you are interested in, then please give us your contact details and someone will be in touch very soon. Or please call us on 0800 6523151.